The Board of the New Canaan Chamber of Commerce held its annual awards luncheon Thursday, June 21, at Boulevard 18 in New Canaan, Conn. 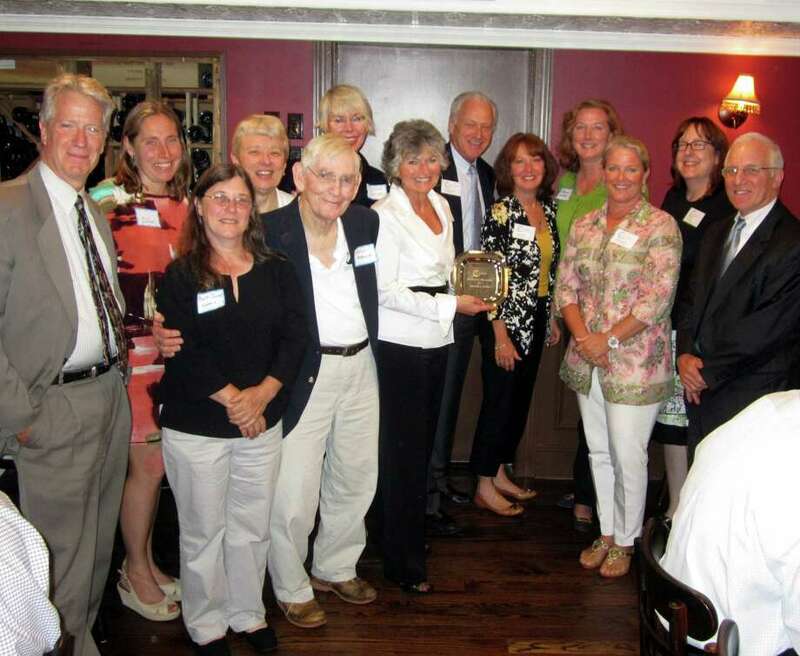 The Board of the New Canaan Chamber of Commerce held its annual awards luncheon Thursday, June 21, at Boulevard 18 to honor those individuals and businesses that have gone above and beyond in making New Canaan a better place to live, work and play. The Golden Shovel Award was presented to Catharine Sturgess for her years of service to the "Clean Your Mile Program" and to the Garden Club of New Canaan. The Volunteer of the Year award was presented to the Kiwanis Club, under the leadership of Jenny Esposito. The Kiwanis Club is involved in so many events and activities that fulfills their mission of "Kiwanis Educates Youth"
Business of the Year was presented to Elisabeth and Dan Mulhern of M Milestones. Dan and Elisabeth support just about every charity that asks for help and always do so with enthusiasm and an matched level of commitment, according to the Chamber.